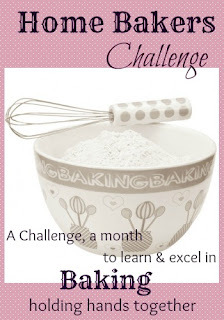 Hi dear friends, here I posted our Home Baker's Challenge - 2 recipe. 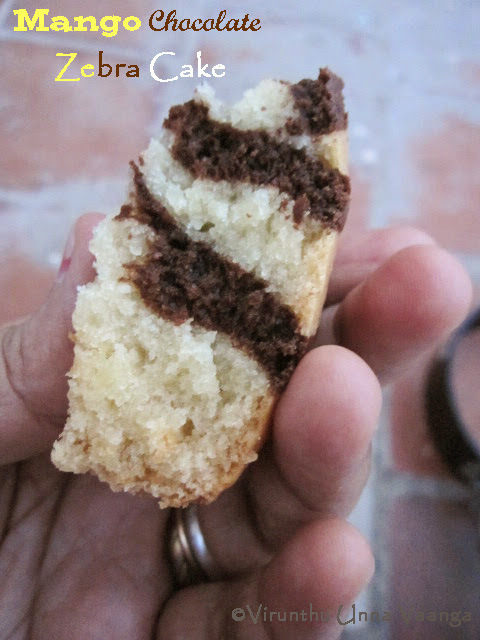 Successfully after baked pizza here with sweet challenge of cake and I was so happy when I had seen the recipe and immediately started to bake with the yummilicious combo of Mango and Chocolate in Zebra pattern. Happy to try out the indeed rare combination. After making pizza, here sweet mango choco cake and its wonderful challenge and here I used fresh mango puree so it doesn't look too color it was medium yellow color. We loved the combo very much. I used butter milk substitute instead of buttermilk coz I don't like buttermilk. Preheat oven to 350 F/180 C and grease and dust the cake pan with butter and flour. In a large mixing bowl, combine oil and sugar then to this add mango puree, buttermilk substitute, milk and vanilla essence and stir it well. Now take a small cup, add coco powder and 1 Tbsp of warm water and mix well. Then transfer half of the mango batter to another bowl and add this coco paste and combine well. 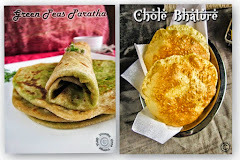 Now both your mango batter and chocolate batter are ready. 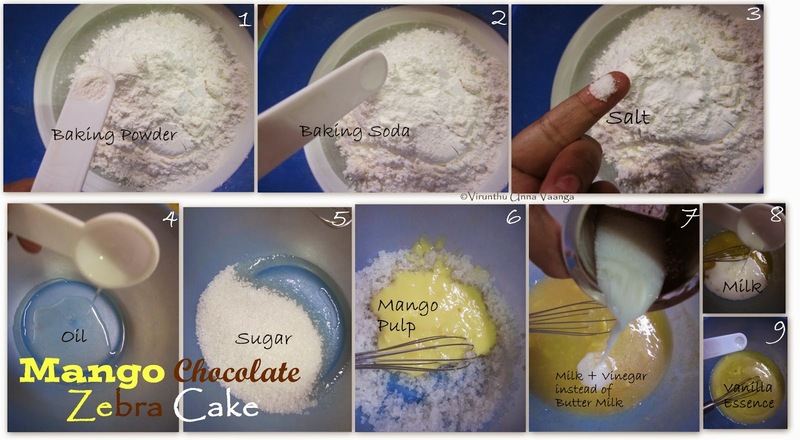 Then pour some mango batter to the pan and pour chocolate batter on the middle of the mango batter, then pour mango batter on the middle of the chocolate batter vice versa till the batter finish. Tap the pan gently to set the batter evenly and bake it for 40-50 minutes or till done mine got ready in 45 minutes. (Check by inserting a knife or toothpick which should come out clean). Cool it completely and serve it. You can use store bought mango pulp if you are using store bought reduce the sugar according to your sweetness. This cake won't rise too much so you can fill up to 3/4 of the pan. 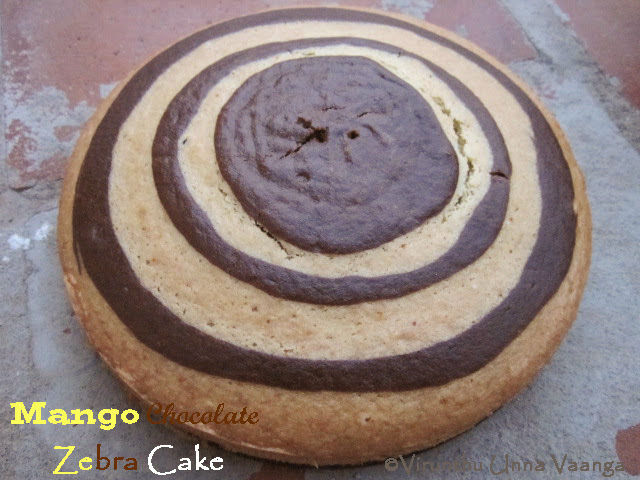 DELICIOUS AND SOFT FLAVORFUL MANGO AND CHOCO CAKE IN ZEBRA PATTERN!!! Looks so spongy n too good!! 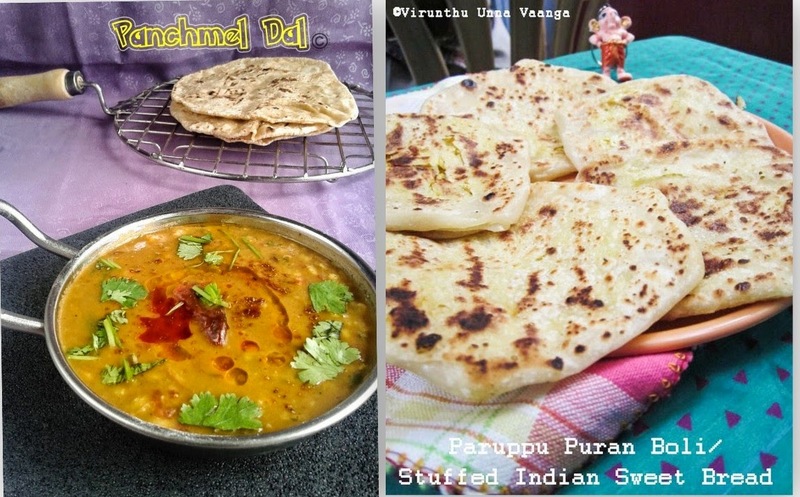 Wow Vijayalakshmi....even u hv halved the recipe! 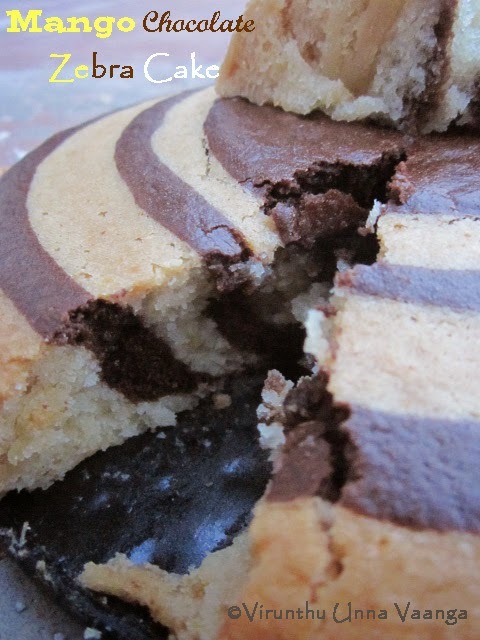 !....the cake is looking really soft & the texture is so perfect! 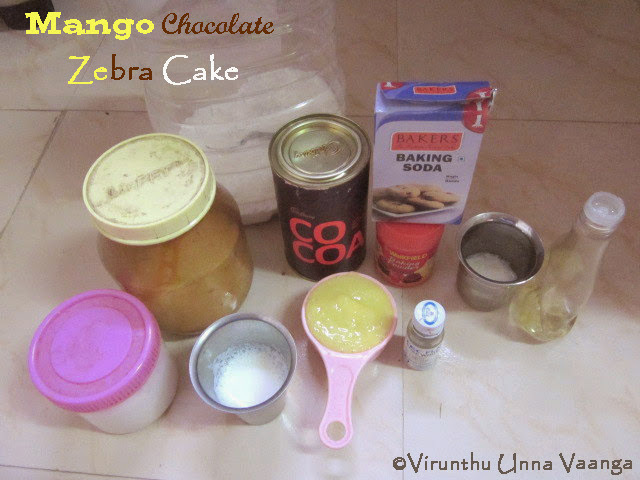 Loved ur super spongy zebra cake Viji, u have done prefectly. Wow, mango and chocolate, does it get any better? And it looks so easy too! cake looks soft and delicious. 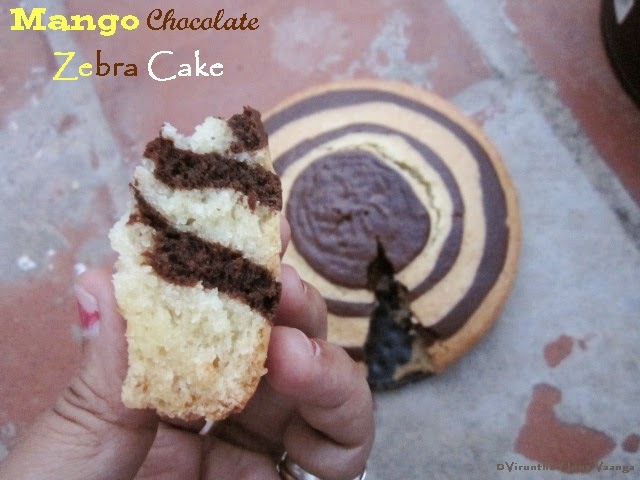 wow...viji love ur zebra patter...cake looks so spongy n delicious...u got the nice texture..loving it!